For the second time in little over a week, Manchester City travel to the King Power Stadium to play Leicester City. Last time it was in the Carabao Cup, which saw the Blues edge out the Foxes on penalties, but this time it’s a big Premier League tie. 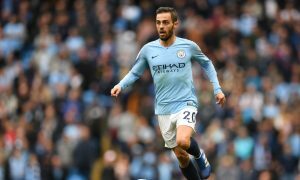 City’s need for a win increased when they were beaten by Crystal Palace on Saturday, a day after Liverpool dispatched Wolves, giving Jurgen Klopp’s men a four point lead heading into Christmas. The reigning Premier League champions must now try to close the gap again ahead of their match against Liverpool in the New Year.